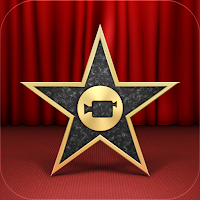 iMovie was the creation app that my students started using first. It was so easy for them to navigate through, that they needed very little instruction on how to create with it. With the recent updates, kids are able to create trailers in just a matter of minutes. As the year progressed, so did their skills at editing and adding special effects; like music and voice over. My students created movies to retell stories, interviewed classmates about topics being learned in class, created final projects to prove to me what they learned and to help teach their classmates how to better understand a concept. The main limitation my class had with the iMovie was that the movie cannot be longer than a minute to email. We were unable to use Youtube in our district, so our tech department helped link our server to the Web Dav app , so movies and large files could be shared. It worked like a charm. We then would upload the videos to our grade level website for kids to share with their families at home.